This post is from my own experience as a customer hoping can help other people who are looking to change their internet provider. Although if someone does use my referral code it will benefit me as well. When we went to Nepal last March we couldn’t believe that, in Kathmandu they had a lot better internet than what we were getting in Sydney. For developed city like Sydney, we were getting 3-5 mbps internet download speed on ADSL and that on good days. So when I read news saying that Sydney has one of the worst wired internets for a developed city I was not surprised at all. We had been thinking about the changing our internet provider for a while but hadn’t got around to it. After we returned from Nepal we found our internet speed going downhill but it was still useable if barely. But for last couple of months the internet just went crazy with drop outs and speed slowing down to 1-2mbps. We talked to our provider but they couldn’t do much so we start to look for other options. NBN is not going to come to our area for at least a year so we only had a choice between ADSL and wireless internet. ADSL was going to be the same whichever ISP we could go with. So it came down to the wireless 4G internet for us and with it we could go for something with a potentially faster speed but with the data capped like OVO or Optus 100GB/$70 plans , or with unlimited data with the speed capped like Vivid Wireless. As we do a lot of streaming we chose the second option. Although Vivid Wireless have both the limited data and unlimited data plans, for our address the only plan available was the unlimited data for $90/month with a maximum of 12 up 1 down Mbps speed. As it is not on a contract but month to month we planned to check it for a few months and change if we didn’t like it. It look hubby less than 5 minutes to set it up and I haven’t had a single problem with it. So far we are happy to admit that we love it as we get 8-10 mbps. The service is great and reception is good too. It is great if you watch movies using Netflix or other streaming services. No stop and start and no drop outs. I think after having a bad internet connection for so long we were pleasantly surprised at how fast this felt. We got our modem from the Good Guys and received second month free internet from Vivid Wireless (although I think if you get it from the Vivid Wireless website you will still get the free month). Hubby couldn’t wait for a few days shipping so decided to get it from TGG. We also used a referral code that we got from a friend which gave us another month free. I understand the credits will get applied after we’ve stayed with Vivid Wireless for more than 21 days. This nearly offsets the cost of the modem which was $199. If you are looking to change to Vivid Wireless Internet, you can use the following referral code when you sign up, you get 1 month free internet and I also get one month free so it is a win-win for the both of us. Your friend needs to enter this referral code when they activate their Vivid Wireless account. 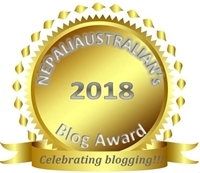 This entry was posted in General and tagged internet, internet code, M from nepaliaustralian, nappy, Nepali, nepali australian, Nepali blog, Nepaliaustralian, nepaliaustralian turns one, Vivid Wireless Referral Code 143388, wireless internet. Bookmark the permalink.